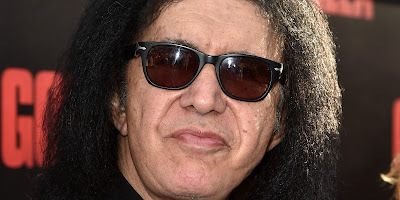 MetalRockNews: Ice Cube about Gene Simmons: "I think he believes the Hall Of Fame is straight for rock and rollers"
Ice Cube about Gene Simmons: "I think he believes the Hall Of Fame is straight for rock and rollers"
Ice Cube was recently interviewed by Howard Stern about Gene Simmons. You can read some excerpts below. About recent Gene Simmons comments about "rap will die" and Rock And Roll Hall Of Fame: "I think Gene believes the Hall Of Fame is straight for rock and rollers. I got a lot of respect for Gene Simmons. I met him a couple of times, he's actually pretty cool. But I just think he's wrong on this." The rapper continued: "Everybody's got their own opinions and Gene, he's an OG in the game, but he's just wrong on this. It's a spirit and it's been going on since before they called it rock and roll. I hate it when hip-hoppers, some of them go to the band. I'm a turntable guy, like old-school RUN-DMC dudes. So I be having my feelings sometimes. But, ultimately, we in, baby."